Recognition of a trade union by an employer means that the union and its members have the right to negotiate as a collective with the employer, commonly referred to as collective bargaining. Collective bargaining brings increased power to Unite Shop Stewards/Reps and their members: the power to negotiate on pay, benefits, terms and conditions and health and safety in the workplace. Without recognition and the right to bargain collectively workers are immediately disadvantaged, with only the right to have a Unite Shop Steward/Rep or Unite Official represent them in a grievance or disciplinary. Workers in workplaces that recognise trade unions have better terms and conditions than comparable non-unionised sites. 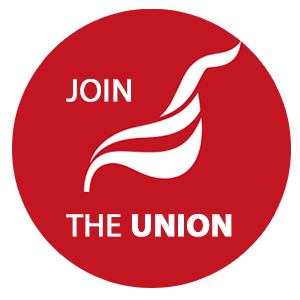 Government research shows that workers in unionised workplaces earn on average £4,000-a-year more than workers in comparable non-unionised workplaces and have greater job satisfaction and job security. Recognition also means a safer workplace. It is a fact that there are 50% fewer accidents in unionised workplaces than comparable nonunionised sites. With a recognition agreement Unite members can elect their own health and safety rep’s, trained by Unite tutors to monitor health and safety in the workplace.